This week I found several insect larvae eating some river birch leaves along the greenway trail near my apartment. The question is, are these butterfly or wasp larvae? 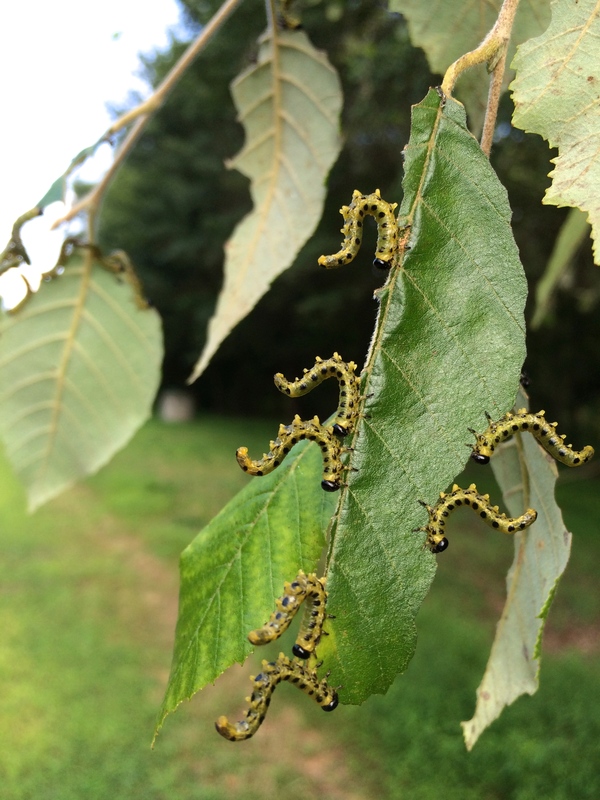 Most would call them caterpillars (butterfly larvae) but, in fact, they are sawfly larvae, which are wasp-like insects. Read more about them in my blog post on our lab’s website here: http://ecoipm.org/blog/.